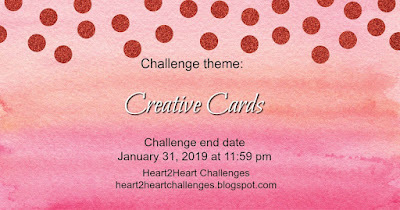 Welcome to our "Creative Cards" Challenge with Heart 2 Heart! 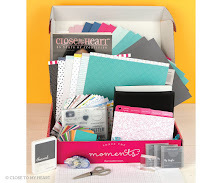 To participate, create and share a card that is anything BUT a standard, 4 1/4" x 5 1/2", size card. 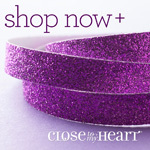 Be sure to incorporate Close To My Heart products in your creation! 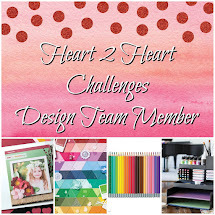 You have until the end of the month to link up so considering joining us! 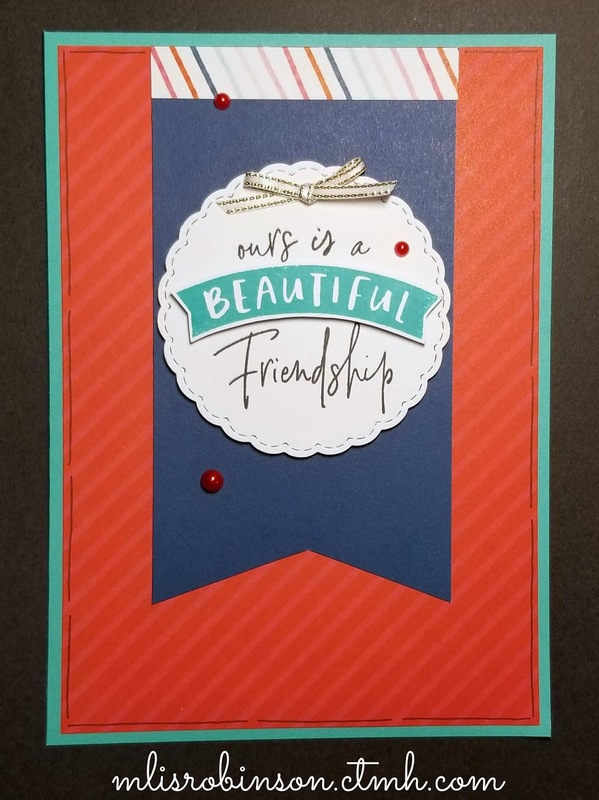 This 5" x 7" card front was kept relatively simple to draw attention to the friendship sentiment. 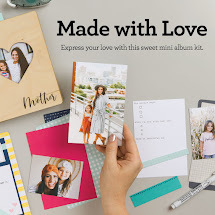 The I Heart Us - cardmaking stamp set was used. 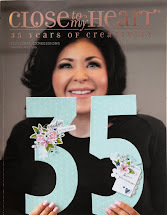 It was fun stamping the "beautiful" image in Lagoon ink, cutting it out and then 3-Ding, to add dimension. 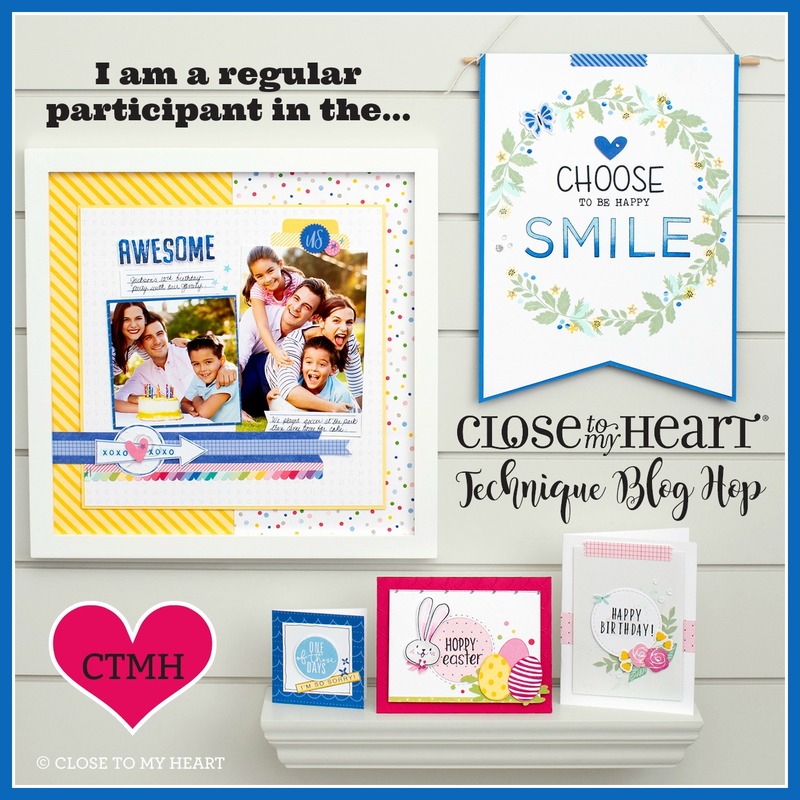 Be sure to check out the artwork shared on the Heart 2 Heart Blog and link up at the bottom of the related post. 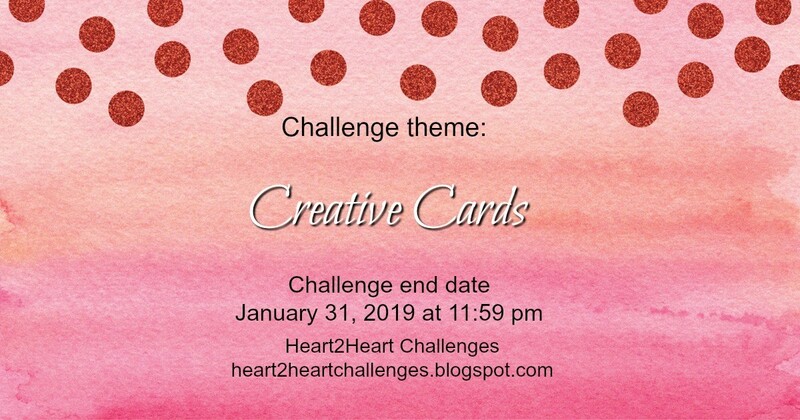 I hope to see your artwork there! 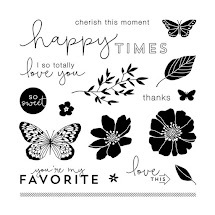 Make it an awesome week! 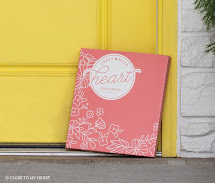 NEW Seasonal Expressions Idea Book is HERE!